International offshore services provider Telford Offshore has been awarded multiple pipelaying and construction services contracts by Mexican company Protexa, which is chartering three of its DP3 multi-purpose vessels for a combined period of approximately 400 days. The vessels will be deployed on a shallow-water engineering, procurement, construction and installation (EPCI) project for multiple lightweight offshore platforms and pipelines. These will be installed at state-run Pemex’s Litoral de Tabasco area in the Gulf of Mexico. Headquartered in Dubai, Telford Offshore provides offering cost-effective construction and project management solutions to the oil & gas industry, with a fleet of five DP3 support vessels. The three vessels to be deployed on the project are Telford 31, Telford 34 and Telford 28. Around 300 people will be accommodated onboard each vessel over the course of the project. Telford 31, which is already working in Mexico with Protexa on another project, will mobilise in July 2019 for the new contract, which includes scope for multiple subsea and topside activities. Telford 31 is equipped with a 400t heave compensated main crane, a heave compensated gangway, a moonpool and 1300m2 of unobstructed deck space. Telford 34, which is currently deployed in Mexico for another client, will mobilise for Protexa directly upon completion of that contract and will undertake mutiple rigid pipelay and topsides works. The vessel is equipped with an 800t heave compensated main crane, a S-Lay system for pipe of 4” to 48” dia. (60” with coating), a heave compensated gangway, a moonpool and 1300m2 of unobstructed deck space. 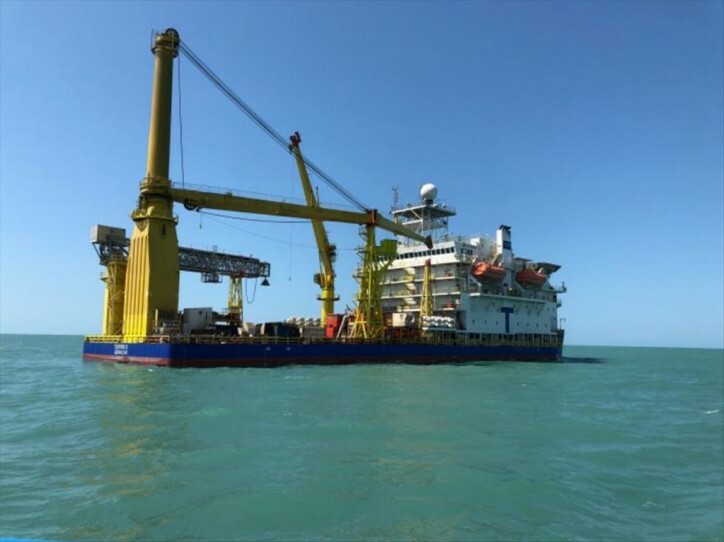 Telford 28 is currently being mobilised to the Gulf of Mexico, where it will execute hook up works with another client, and then undertake multiple subsea and topsides works for Protexa. The vessel is equipped with a 270t main crane, a heave compensated gangway and 1100m2 of unobstructed deck space. Telford Offshore is adaptable to client requirements and operates in the most challenging environments, delivering safe access to and support of offshore work sites.